What if you were told you only have 300 days to live? Unfortunately, those are the odds given to the victims diagnosed with Mesothelioma. 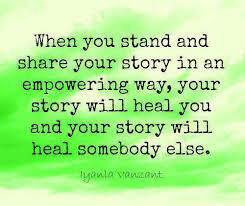 and I want to share a story with you. Not too long ago, I received an email from Heather Von St. James asking for support in helping to spread awareness to this condition. While I had heard of Mesothelioma before, I honestly didn’t know that much about it other than what I’ve seen on those late-night commercials about hiring a lawyer for those asbestos lawsuits. I hate to admit it, but I never gave it a second thought once the commercials were over. Needless-to-say, when I read Heather’s story, I felt pretty lousy about my ignorance. Often, I talk about the strength and courage it takes to live with a chronic illness. While most people don’t associate cancer as being a chronic illness – luckily for Heather – hers is. She has fought hard to survive this rare, yet highly fatal, form of cancer for 10 years now, and is now devoting her life to not only sharing her story but advocating for this terrible disease. With how much her story inspired me, I obviously agreed to help her with sharing this cause. But first, I had to learn more about what Mesothelioma was all about. What I found, however, can only be described as shocking. And all of us, especially those of us living in the U.S., should be concerned. Approximately 80% of mesothelioma cases can be attributed to asbestos exposure. Other potential risk factors include zeolites and radiation exposure. 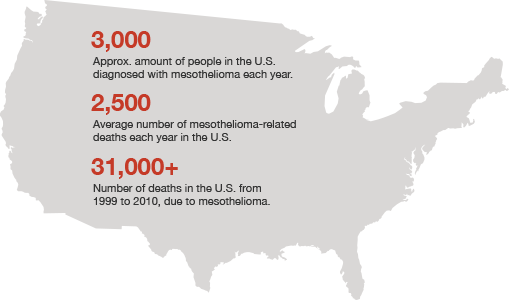 An estimated 20 million people in the U.S. are at risk of developing mesothelioma at some point in their lives. The latency period between first exposure to asbestos and developing mesothelioma is typically between 20 and 40 years. The average age at which a person is diagnosed with mesothelioma is 74 (74 for males, 71 for females). 91% of people diagnosed with mesothelioma are 55 or older. Nearly five times as many men develop mesothelioma than women. People who are diagnosed with mesothelioma live between 12 and 21 months on average. However, between 5% and 10% of mesothelioma survivors live for at least five years after diagnosis. The most common type of mesothelioma is pleural mesothelioma (lungs), which occurs in about 75% of mesothelioma cases. Most other cases consist of peritoneal mesothelioma (abdomen), while pericardial mesothelioma (heart) and mesothelioma of the tunica vaginilis (testicles) are both very rare. About 1 in 10 tumors that form in the pleura surrounding the lungs are cancerous and develop into malignant mesothelioma. The rest are benign. It is estimated that as many as 43,000 people around the world die annually from mesothelioma. The highest rates of mesothelioma occur in Australia, Belgium, and Great Britain, with an average of 30 cases per million people. Through 2020, the rate of death for malignant mesothelioma in developed countries is expected to increase by 5 – 10% annually. The highest rates of incidence for mesothelioma occur in the Genoa Province of Italy, West Cape of Australia, and Northern Yorkshire area of the United Kingdom. However, mesothelioma was not included in the International Classification of Diseases (ICD) until the tenth revision, and many countries do not consistently report mesothelioma statistics. It is possible that there are much higher rates of incidence in Asia, Africa, and South America than is currently realized. Asbestos is banned in at least 60 countries around the world. Although some of these bans are partial or allow exceptions, most are complete bans on the importation and manufacture of asbestos. Personally, my question is WHY? Why are we, as a nation, NOT more concerned about this issue? Why is asbestos NOT banned in the U.S. currently? We are aware that it is, in fact, a serious problem. Know Where to Find Asbestos and When Can it Can Be a Problem? So I ask all of you to please spread the word. Share this post. Write your own. Let’s celebrate the survivors and remember those who were not so lucky. You would think that asbestos would be banned in the US, but it is not. Lets take today to celebrate the survivors, the fighters and those who have passed due to this horrible disease. Now a Canadian point of view! Although the use of new Asbestos in Canada has decreased it is still found in old homes and office buildings (new buildings do not use Asbestos). Thanks to HGTV Canada’s Bryan and Mike Holmes, the danger of Asbestos when renovating has become widely publicized and awareness has risen significantly. Until recently, Canada exported Asbestos. We no longer do so. Sadly we still import Asbestos products even though alternatives are readily available. Our rates of Mesothelioma are lower than the US (bear in mind the US has a higher population). According to the Canadian Mesothelioma Foundation our incidence rate is 25% lower. We are in the Commonwealth but we are usually slower to ‘get on the bandwagon’. We are in the final stretch of the Federal Election. Environmental change is on the agenda. Awesome information. I hope this changes take place everywhere.